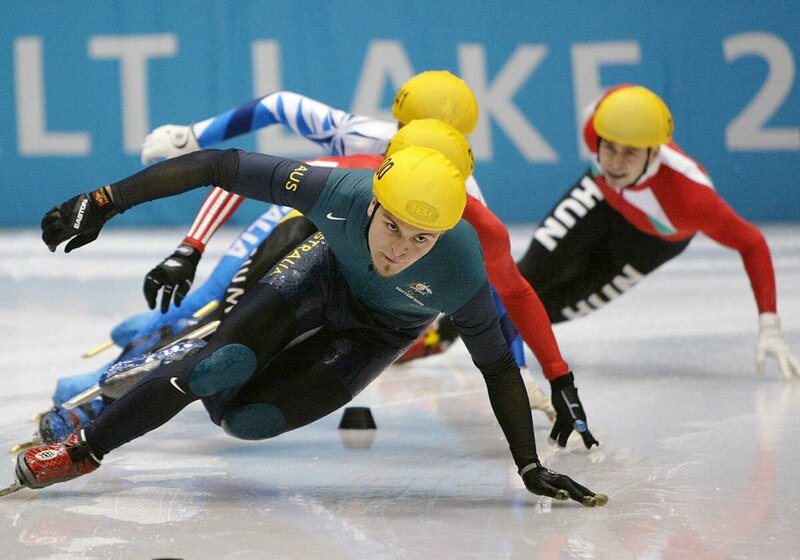 It was 90 seconds that defined an athlete’s career, divided popular opinion and went down in Australian sporting folklore, as speed skater Steven Bradbury, then age 28, came from behind in fifth place to scoop a surprise win in the men’s 1000m final at the 2002 Salt Lake Winter Olympics. As the figure in green and gold glided over the finish line – the clock frozen at 1:29:11, the other four finalists disentangled themselves after tumbling in a nasty fall. 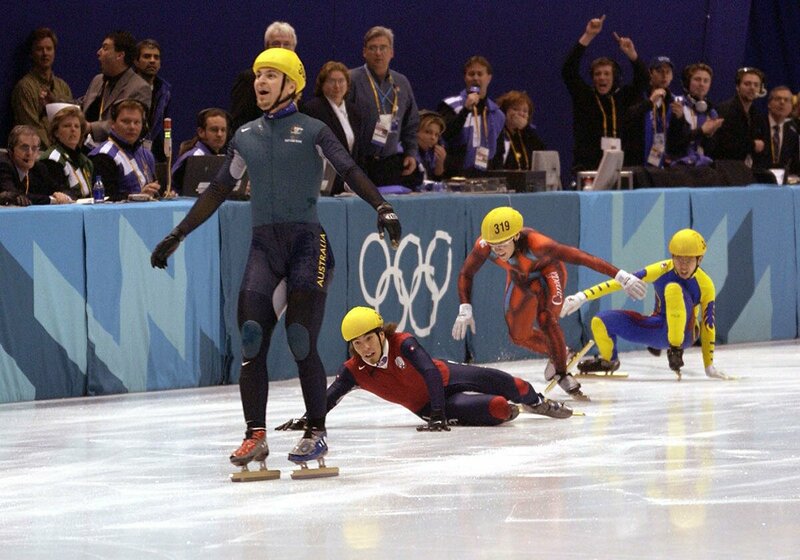 It was a divisive win for the Australian – but in the face of the icy pile-up, Steven Bradbury had kept his balance, and his presence in the race the culmination of years of hard work at a highly competitive level, including three prior Olympic Games, representing Australia (and placing) at World Championships and recovery from two potentially career-ending injuries. 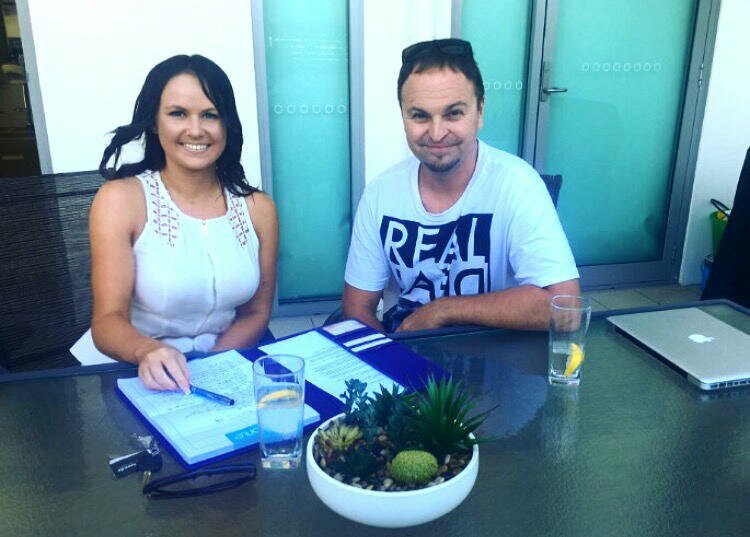 While holidaying with his family (wife of 10 years Amanda, eight-year-old daughter Ryen and six-year-old twins Eryn and Flyn) at his spacious Kings Beach holiday apartment in Caloundra, Steven Bradbury sits down to share his story with Profile. Let’s talk about that memorable race, with you taking the 1000m gold in a shock finish. Can you talk me through your reaction, what were you thinking and feeling? Steven: I went into it racing with a different strategy, I knew I wasn’t as strong as the other skaters and I’d like to think some experience and judgement came into play … I knew the other four skaters were racing to finish first and I had a different strategy that they might make some mistakes and I could sneak in and pick up a bronze medal through other people’s mistakes (a strategy Steven has maintained since his first post-race interview). I never imagined it would turn out better than bronze. Most people remember the look on my face as I went across the finish line, I wasn’t sure if I should celebrate or hide in a corner, I didn’t know what the appropriate response was. And at first I wasn’t sure if I should accept the gold medal, I didn’t know if I was going out to the podium when I was sitting in the change room after the race, but I had a few minutes to reflect and I decided I would take it for the 12 years in the lead up, not for the 90 seconds of the race. It was an over-the-top, amazing, can’t describe it way to finish something that had started 20 years earlier. People do say you were ‘lucky’ to win – with the years of training and competing at a high level prior, you did put in the hard yards to reach that level of competition. How do you respond to that? Steven: There’s no doubt I was incredibly lucky that night, sometimes people do come up to me and tell me that – but usually those are the people who are sitting on their couch at home doing nothing. I’d been top 10 in the world for a decade so I’d paid my dues so to speak, but that doesn’t change the fact I’m arguably still the luckiest gold medal Olympian in history, but it wasn’t luck that I was there and in a position to capitalise when my competitors made mistakes, and that’s a lesson in life and in business as well. You don’t always get the reward you’re looking for overnight but if you’re prepared to show up and show up and show up, one day you could be the last man standing too. You’ve had two separate, significant injuries during your sporting career – suffering that horrific leg injury during a training session in 1994 and breaking your neck in 2000, just 18 months out from the 2002 Winter Olympics. What did you go through with those injuries, physically and mentally? Steven: When I got my leg cut open I lost 5.5L of blood – I lost 4L in the first minute, my heart rate was 200 beats per minute and I got another guy’s blade through my leg so the scene on the ice was quite graphic. That was probably the day I learned more than any other day in my life how much power, not only me, but any human has got because there were some moments there where I said to myself, if I lost consciousness I was going to die, and I just found this amazing power that refused to let myself lose consciousness. And in the future I was able to draw on that as a positive – if I was having a tough day in training I tried to remember back when I was lying on the ice in Canada with three-quarters of my blood spilled around me and the bad day in training went away pretty quick. And the neck injury was life-changing, too? Steven: At first it was just a mundane, slow speed crash into the barrier, but I found out a week or so later I’d fractured a few vertebrae in my neck and they had to screw a halo brace into my skull. I was towards the end of my career, I’d been to three Olympic Games and hadn’t done my best at any of them. I had two months wearing the halo brace where I didn’t really have anything else to do but think and reflect … and even though everyone around me was telling me I was done and it was time to quit and the doctor told me I’d never skate again, for me that wasn’t an option. I only had 18 months left to go to another Olympics, and 18 months out of 14 years of hard work wasn’t very long, so I decided it didn’t matter physically what the results were going to be – if I fell again and was put in a wheelchair, or I got stabbed by another guy’s blade and died, I was prepared for that. I just had to finish what I’d started so many years ago, the new goal from there was to skate my best at the Olympics. There are quite a few examples in the Australian sporting scene of one moment defining or overshadowing an athlete’s career. Your circumstance is arguably a case in point – do you think this is fair? Steven: I was the ultimate underdog who had his victory at the end of his career and then retired. I think it’s nice that in my career I was able to be remembered for one moment, as a speed skater from Australia you’re not actually at the centre of the speed skating universe! It was nice to finally have people ask about a speed skater from Brisbane who’s been doing thousands of laps in the back blocks of Acacia Ridge in complete anonymity to suddenly having the whole world asking questions. It was the ultimate way to finish. A lot of athletes worked as hard as I did and didn’t get to finish the way they wanted so I’m humbled and I’m fortunate I was able to finish my career in such an amazing way because if I hadn’t I might have walked away a bitter and twisted individual from putting their whole life into something and not getting the results he thought he deserved. What kind of training did you go through as a professional speed skater? Steven: A lot of endurance training, technique, speed work and depending on the time of season riding a lot of kilometres on the bike, pushing heavy weights in the gym. You’ve got to have the aerobic fitness first s o you can build the base and your body can cope with the anaerobic when you start to train at very high intensities, lactic acid tolerance is a big part of who is the best speed skater. Once you’re in the zone, some days you just thrive on it, it’s like a drug. 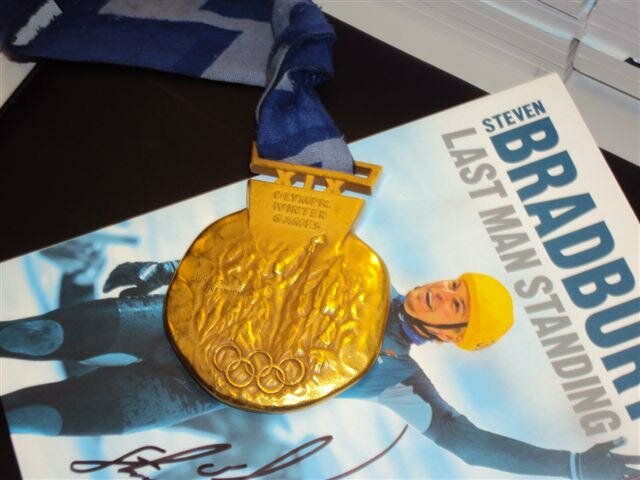 From the fateful gold triumph in 2002, Steven went on to find business success through his custom speed skate and cycling shoe company (sold in 2012), and as a motivational keynote speaker; as well as hosting Australian TV coverage at the 2006, 2010 and 2014 Winter Olympic Games; Director of the Olympic Winter Institute of Australia (2002 to current) and being awarded the Don Award for Australia’s best sporting performance in 2002 and an Order of Australia Medal (OAM) for services to Australian Sport. Steven, how was the transition from athlete to media man? Steven: At that point in my life I’d finished a professional sporting career and was at a bit of a loss as to what the next step was. I’d put my whole life into something and it had just finished so I was drinking too much for a couple of years and it took me a while to figure out what was next for me. 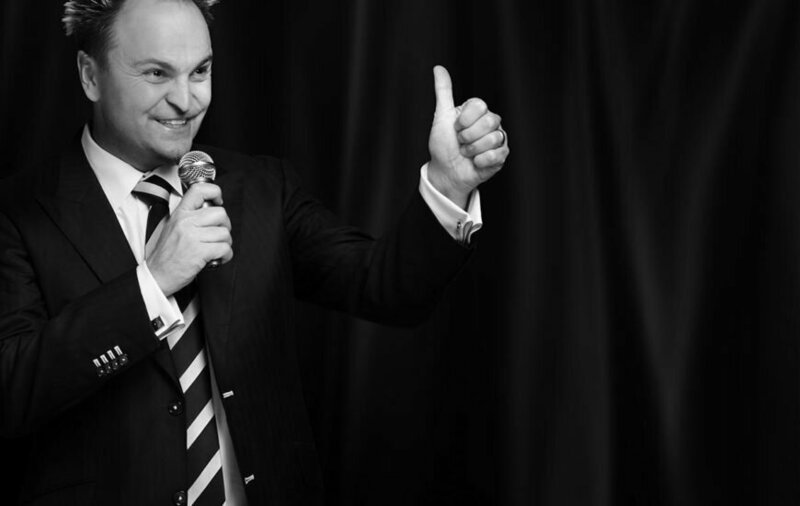 I was doing the occasional speaking engagement and doing it okay … then I started to work with a comedian, a speech writer and hone my material, and I’ve built it over the last 10 years. I enjoy the adrenaline of going on stage. I wish I could still compete at the Olympics and get that massive adrenaline rush, but unfortunately I’m a bit too old and overweight these days! But I get that little bit of an adrenaline kick every time I go on stage and speak to an audience. What makes you relatable as a speaker? Steven: I think my story is very real. I wasn’t a super athlete like a Michael Phelps or Ian Thorpe, I was the guy who was close to the top in my sport but very rarely winning, but put myself in position and had a lot of luck to get the ultimate prize of the gold. I think the average person can draw some inspiration from that, that if they continue to back up then maybe they’ll get their own version of a Bradbury! That term, ‘Doing a Bradbury’ is pretty iconic now, it’s been used in everything from Australian political satire to recently being added to the Macquarie Dictionary. What does it mean to you? Steven: Hopefully that saying continues to be used after I’m dead! I’m very proud of it, I understand the luck connotation that goes with it but I think that 99 per cent of people understand that you don’t end up in the final at the Olympics because you strapped on skates a couple of weeks prior and got lucky, so for me it’s got a lot more than a lucky victory attached to it. 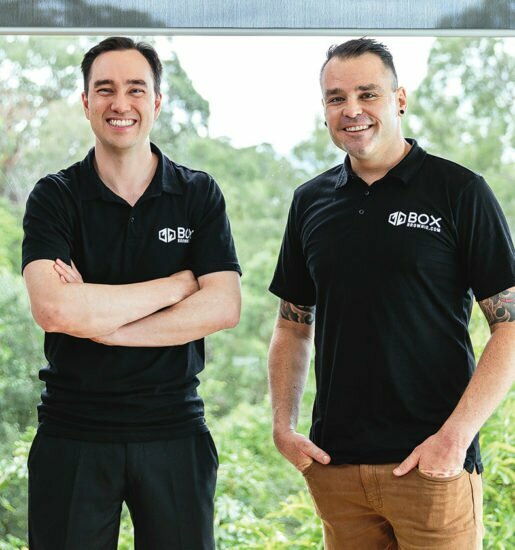 Steven: I’m working on some property development, planning for the future, continuing with the MC/speaker business that I’ve worked so hard to build up my reputation on. And we’ve got the three young kids as well, they take up a lot of time! I have to ask – when was the last time you strapped on a pair of skates? Steven: For me it’s really a social activity these days, I take the kids ice skating and they love it, it’s a good day out. So, what can Sunshine Coast audiences expect when you come to present in February? Steven: I talk about real life and about some of the lessons and experiences that I’ve had through Olympics and business and hopefully inspire people to try a bit harder in what their pursuits are. I think when an athlete’s coming to speak people often think they are going to hear a good story but don’t for a moment believe they are going to hear an entertaining, inspirational comedic entertainment package and for me that’s the drawcard. 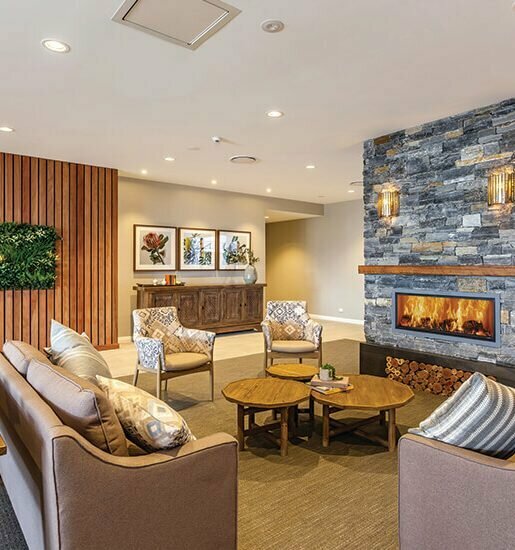 STEVEN IS SPEAKING ON THE SUNSHINE COAST ON FEBRUARY 5, FOR PREMIER SPEAKERS AND EVENTS. Click here for tickets and more information. Profile journalist Anna interviewing Steven at his holiday apartment. I saw Steven’s performance at a function in September this year. It was both entertaining and enlightening. To hear the the details of what Streven had to endure to reach that Final of the Winter Olympic Games in 2002 was truly inspirational.